Noma® 2.4v 100mA Blue MB2 Pearl Micro Lamps Spare Push In Bulbs Pack of 5 (0156BB) for use with compatible Noma mains powered Christmas light sets. 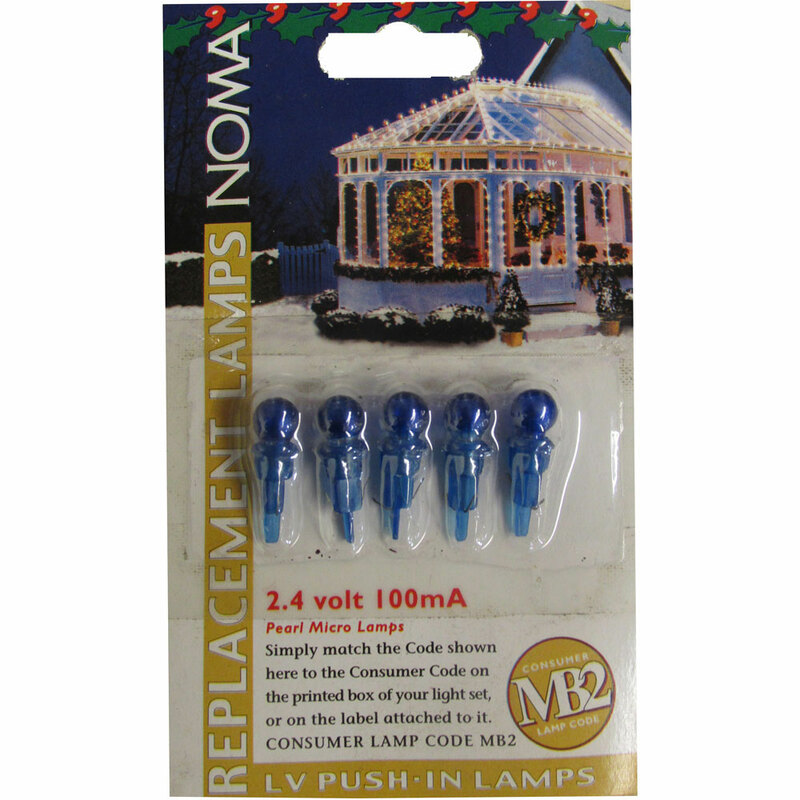 Set includes 5 replacement 2.4 volt blue micro pearl push in light lamps with blue plastic lamp holders. Simply match the lamp code with that on the cable label wrapped near the plug, to ensure these correctly correspond with your light set.